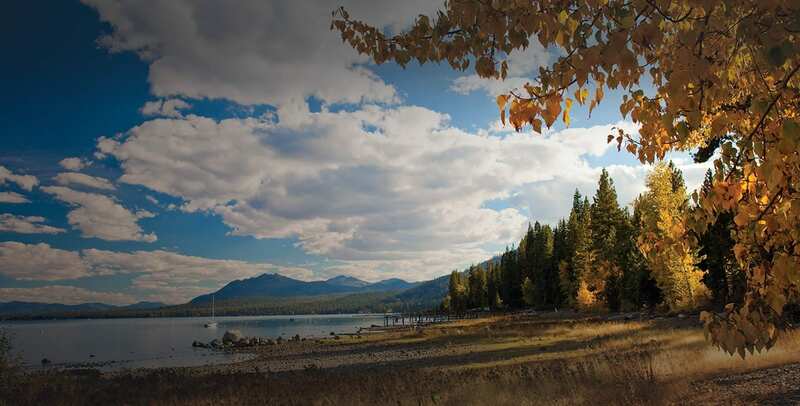 If you’re enjoying North Lake Tahoe on wheels, you’ll quickly discover the spectacular views at every turn. We’ve got a few suggestions on where you’ll find a few of the best perspectives. Driving from Tahoe City, head South on Hwy 89 along the West Shore all the way down to Emerald Bay. These are some of the the most majestic views of the Lake and surrounding mountains. 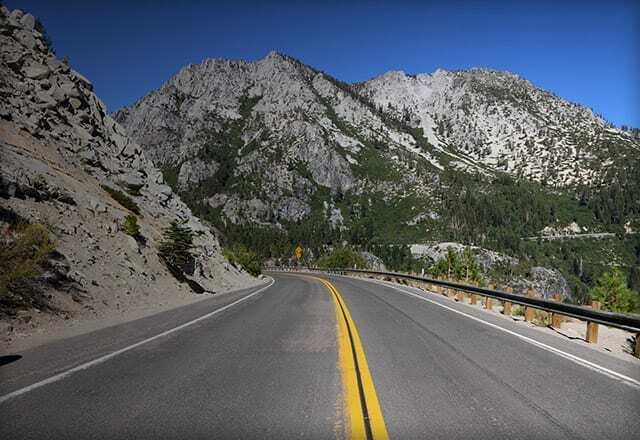 Although the views are amazing and irresistible for share worthy selfies, please keep your eyes on the road, as narrow switchbacks and one cliff section with no guard rails make this stretch of road a challenge and a thrill. For a great sunset drive, start from Incline Village and continue East on Hwy 28 towards South Lake Tahoe. Pass Sand Harbor, then through Cave Rock, one of the Lake’s most intriguing natural formations. Look out for pedestrians and bicycles through the cave. The view of the mountains and setting sun from the East Shore is unbeatable. Embark on a 72-mile scenic journey unlike any in the world. Please check weather and snow conditions before you go.